In 1942, Will Truesdale, an Englishman newly arrived in Hong Kong, falls headlong into a passionate relationship with Trudy Liang, a beautiful Eurasian socialite. But their love affair is soon threatened by the invasion of the Japanese as World War II overwhelms their part of the world. Will is sent to an internment camp, where he and other foreigners struggle daily for survival. Meanwhile, Trudy remains outside, forced to form dangerous alliances with the Japanese-in particular, the malevolent head of the gendarmerie, whose desperate attempts to locate a priceless collection of Chinese art lead to a chain of terrible betrayals. 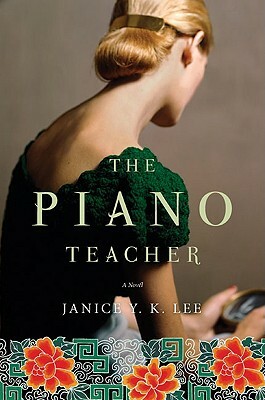 Ten years later, Claire Pendleton comes to Hong Kong and is hired by the wealthy Chen family as their daughter's piano teacher. A provincial English newlywed, Claire is seduced by the heady social life of the expatriate community. At one of its elegant cocktail parties, she meets Will, to whom she is instantly attracted-but as their affair intensifies, Claire discovers that Will's enigmatic persona hides a devastating past. As she begins to understand the true nature of the world she has entered, and long-buried secrets start to emerge, Claire learns that sometimes the price of survival is love.